Nestled atop a seaside bluff above the stunning Caribbean Sea, this 74-room all oceanview gem presents the perfect setting to truly get away from it all. 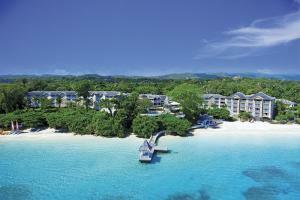 Old world elegance and warm hospitality are at the crux of this charming all-suite Jamaican resort. With exquisite Mediterranean and French cuisine, the Caribbean's only champagne and caviar Bar and spectacular twin beaches with your beach butler only a nod away. La Papillon - Meat and Seafood; La Terrace - Outdoor Mediterranean dining; Royal Cafe on the Beach - Light Jamaican meals. Dunns River Falls, Fern Gully, Ocho Rios.